Looking for a way to download Facebook chat on your PC or phone? This article will teach you how to do it in easy steps on iOS, Android, PC or Mac. Want to add an extra layer of privacy to your Facebook chat messages? One way to do it by downloading all the chat messages on your PC or phone offline and preserve them from online vulnerabilities. After all, nothing for sure can be said about the data that exists online. Recently, Facebook came under scanner for exploiting the data that is entrusted to them. It was found that data from millions of American Facebook accounts, was used unwarrantedly. If this raises concerns about your web privacy in your mind, you can download facebook chat messages. This way you can at least make sure that your privacy isn't being played with. Can I download a Facebook Messenger conversation? Yes, thankfully there are a lot of tools and ways that can help you in doing so. You can make chat backups or download HTML backups on your PC. This helps you in making sure that you don't lose all your Facebook chat history by mistake deletion. You can also download the Facebook chat on your PC and delete everything from your online account, to ensure safety. But how to save Facebook messenger conversations? There are several ways of saving your Facebook chat messages on your phone and PC. We will go through them one by one in this post. If you want to save the conversations you have been having on Facebook Messenger on your phone, you will need to first do it on your PC. 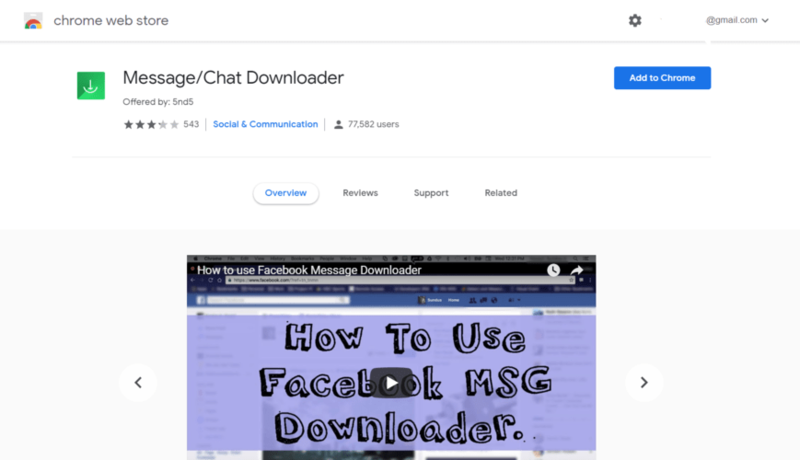 After speculations, we couldn't find any reliable app or facebook chat downloader for android that could directly save the messages from the Facebook's Messenger app. But there is an alternative to this! On your PC, you would be able to save a CSV file containing various chat conversations. On your phone, you can save important chats in the form of a long continuous screenshot. You will need to download facebook chat messenger for mobile phones you use, for this. You can use the LongShot App on Android which takes continuous screenshots of the chat conversation you've had and makes one long image out of it. Launch the Longshot App and click on Capture Screenshot icon. Check the Auto Scroll option given beside it. A hovering icon will appear on the screen with two options, Capture and Done. Now you can go to the Facebook Messenger App and open the conversation you want to save. Scroll up to the point in time, you want to save the messages. Click on the hovering Capture button and wait. The LongShot app will start capturing the entire conversation automatically. Click on Done when the conversation has been captured. If you're on iOS, you can download Facebook chat by using the Long Screenshots App which performs the same function for you. There are several options for doing this if you want to perform the function on your PC. You can use your web browser such as Google Chrome for doing so or you can download chat backup files from Facebook.com directly. Let's look at all the options one by one. You can use the chrome extension called Message/Chat Downloader that can be programmed to download Facebook chats or conversations on your PC. It works as a Facebook conversation downloader in your browser. To do this, follow the steps given below. Add the Chrome extension by going to its download page. Log in to your Facebook account and open the chat conversation you want to save. Make sure you open the conversation in the full-screen mode. 4. Now click on the Chrome Extension from the top right corner. 5. 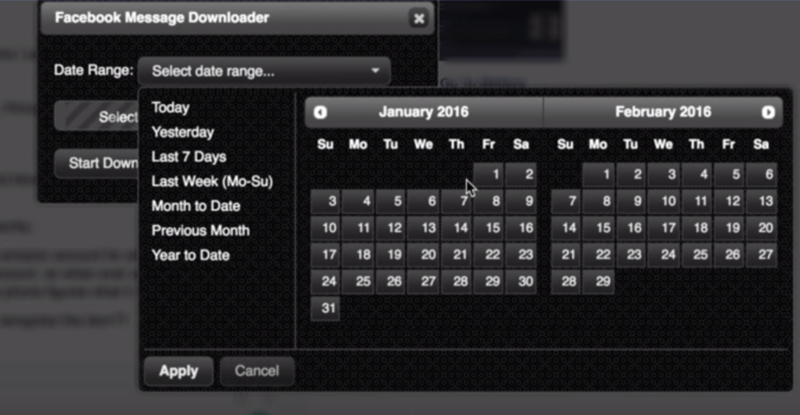 Select the date range inside which you want to save the conversation. 6. After that, click on start download Facebook chat and wait. 7. The file containing all your messages will be ready to download. Press Control + S (on Windows) or Click on File and select Save Page (on Mac). 8. Save the file in the form of Webpage Complete in your PC's directory. 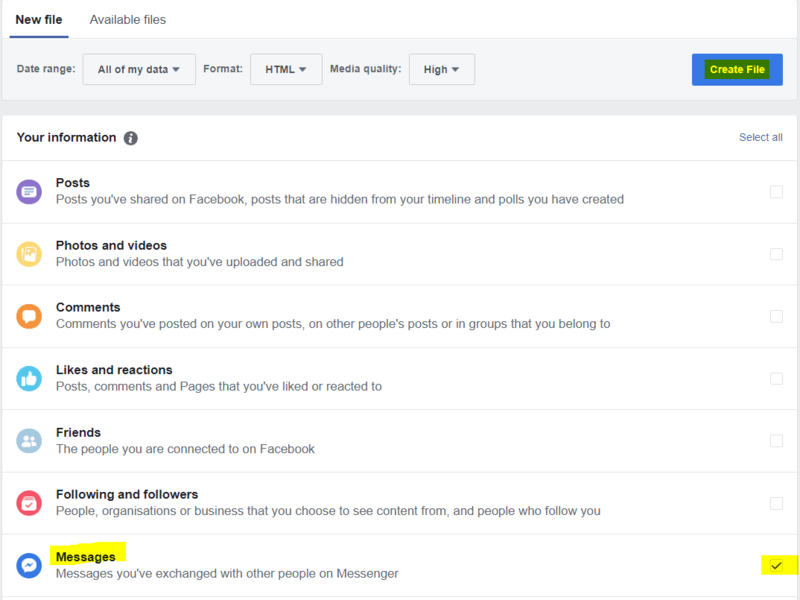 Another option to download all Facebook chat messages at once is doing it directly from Facebook's own data backup feature. To do this, follow the steps given below. Log in to your Facebook account and click on the little triangle that appears on the top right corner of the screen. Choose Settings from the drop-down list. 2. 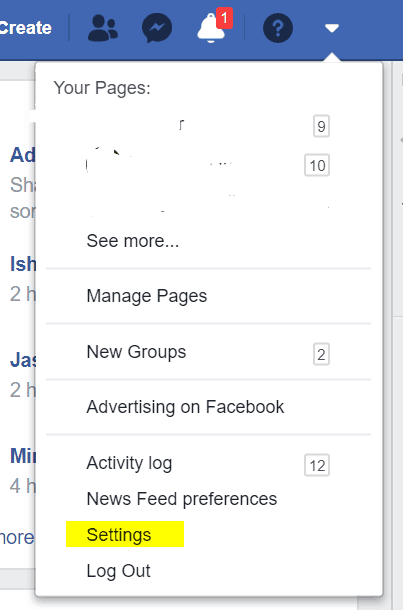 Now select the option that says Your Facebook Information from the top left corner. 3. 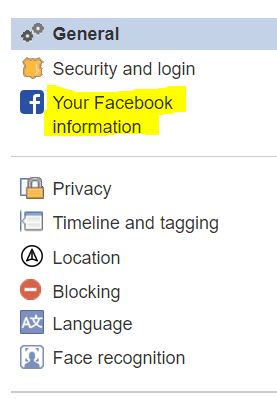 You will be guided to a settings page, where you can select to download Facebook chat information. Click on the button that says Download your information. 4. After this, you can choose the messenger conversations from the list of downloadable information. Select Messages from the list. You can also select what file types you want and what time range you'd like to keep. 5. 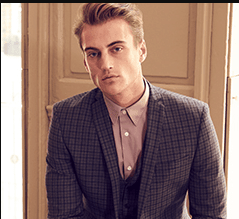 Now click on Create File Button and wait. 6. You will get an alert saying that your information is being prepared for download. You'll be notified via a notification when it's complete. This will be the end of downloading Facebook messenger information on your PC. Next up, let's see how to export facebook messages to pdf. If you want to keep the track of all your Facebook messages in the form of PDF, you can do so by converting your download into a PDF file. Let's see how to do this in your various devices. If you had saved Facebook messages on your Android devices using the screenshot method, you can convert them to PDF by using the Image to PDF Converter App. This app will allow you to easily compile all your screenshots into one single file that is easy to share and save. In case you have an HTML file saved on your Android smartphone for the Facebook messages backup, you can use the Convert Web to PDF App. This app converts webpage files to PDF on your Android Smartphone. In case you have an HTML file saved on your iOS smartphone for the Facebook messages backup, you can use the Insta Web App. This app converts webpage files to PDF on your iOS Smartphone. If you had saved Facebook messages on your iOS devices using the screenshot method, you can convert them to PDF by using the PDF Photos App. This app will allow you to easily compile all your screenshots into one single file that is easy to share and save. At last, if you used any of the methods that involve the use of a PC, you can convert the backup into PDF using an online converter. For this, all you have to do is to upload the backup files to PDF conversion service. HTML TO PDF is an easy to use tool for this purpose. Simply upload the back up using the upload button and then download the converted while from the queue marked as 2 in the above image. Worrying about the long hassle of saving backups everytime you want to download Facebook chat on your PC? There is a way out! You can automate the process by using a simple Mozilla FireFox Add-On (extension). The Chat History Manager available on FireFox browser makes it easy for you to save all your Facebook chats automatically. It keeps on working in the background and saves chats as you browse Facebook. You must browse Facebook in Mozilla FireFox for this to work. You can get a copy of your Facebook chat history whenever you like and you can download it too. Look at the archived chat history being shown in the below image by the extension. The extension can work on Google Chrome as well. Your Facebook account is an open book to a lot of your personal information. Don't let it be misused by a hacking attempt or by anyone else while it rests on Facebook's servers. You can also minimize the chances of losing all your Facebook chat history in case of an accidental deletion. Therefore, we recommend that you back up and download Facebook chat conversations on your smartphone, PC or Mac. There are several ways to do it as mentioned in this article. For further protection, you can encrypt all the saved chats using encryption software such as Soda PDF. This tool encrypts all your PDF backups with a password so that no one except you can read your Facebook chat backups. You can also encrypt HTML web pages directly but we recommend PDF conversion first. Get ahead and take control of your Facebook privacy now! 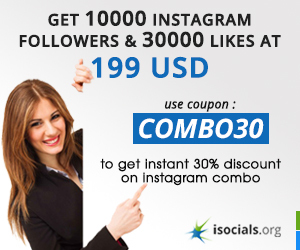 ← Instagram Search – What All You Need To Know!